When I was a little girl, probably 3 or 4 years old, I use to ask my grandparents and my parents where did they find me. And the answer was: in the cabbage. I remember even taking my grandfather to a garden and asking him to show me that cabbage! I guess, those stories really effected my special relationships with all the cabbage family, I just love it! Kale, Brussel Sprouts, collards, red cabbage, green, cauliflower, Kohlrabi, you name it. If I don't have a lunch or dinner planned, it will be some dish made of cabbage. Last week my parents flew in from Europe, and with my dad being a diabetic I have to cook keeping it in mind. 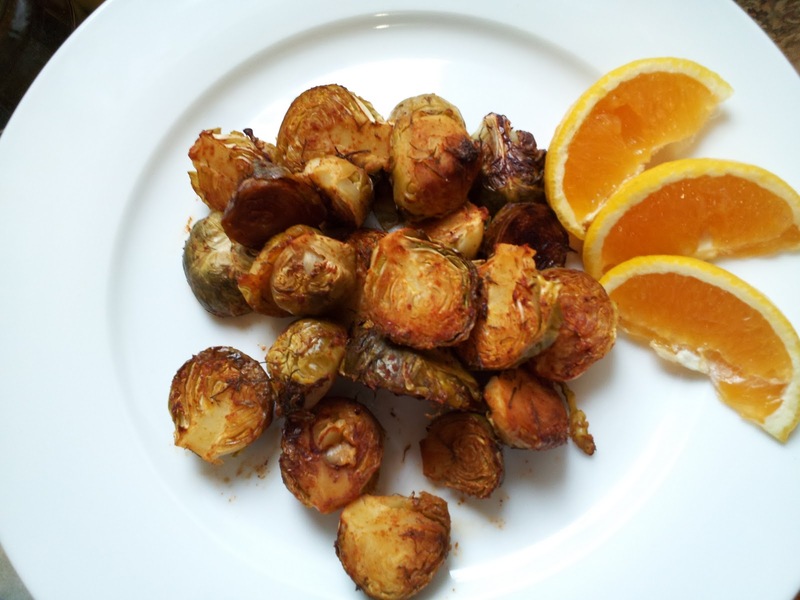 So today I made a roasted Brussel sprouts. I mixed all the dressing ingredients into a paste, then coated Brussel sprouts with it and placed those baby cabbages in one layer in the non-stick baking pan. 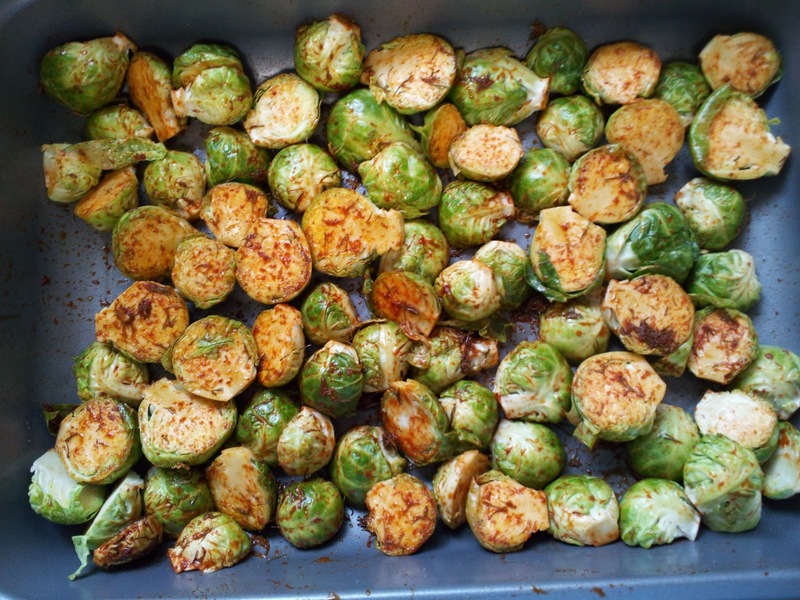 Baked it for 30 min at 375 F.
I absolutely love Brussels sprouts!! I eat them steamed dipped in some Maggi sauce or mixed with my mash potatoes. I haven’t tried them roasted in the oven before but I can imagine how good it would taste. I bet they make a great snack as well. Ps: thank you for stopping by my blog. It’s much appreciated. Have a great week! Thank you, Lilly for the ideas! Have a great week too! Smoked paprika is such good stuff! I recently roasted some sweet potatoes, and that was the main flavoring - wonderful! Never thought to use it with Brussels sprouts - I'll definitely give it a try. Thanks. This recipe is one of my favorite, John. If you try it let me know how you like it.